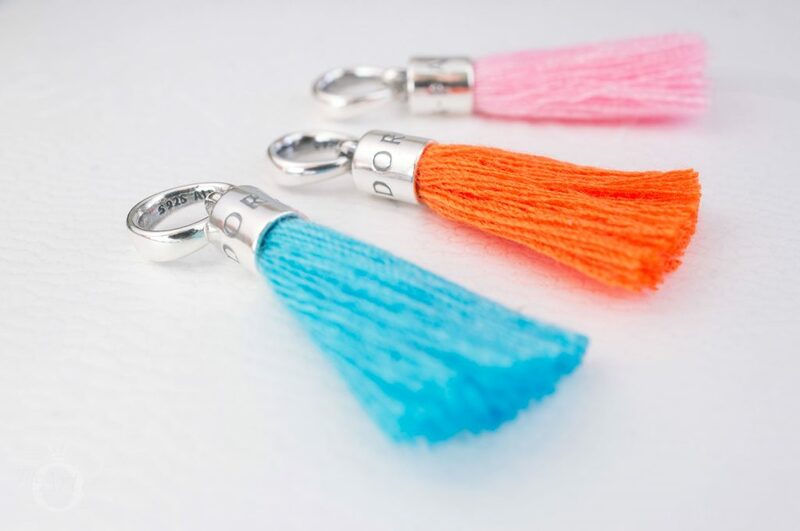 Lend a bohemian style to your bracelet with these fun fabric tassels in beautiful bright colours! 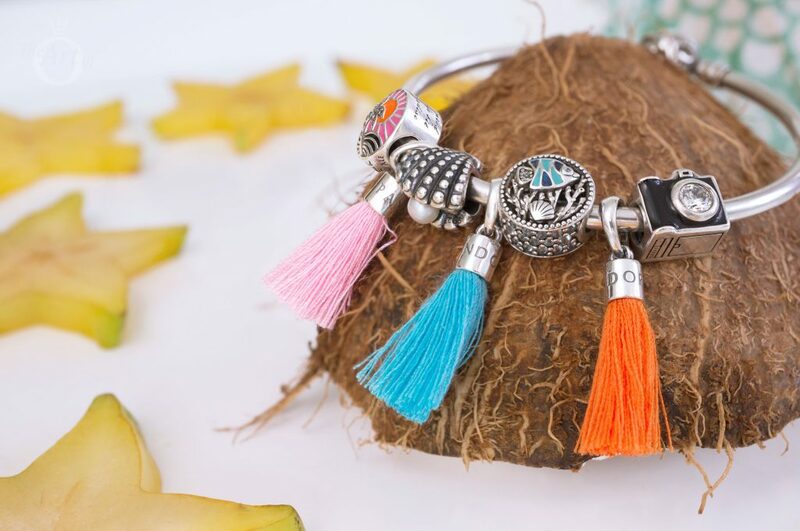 My highlight from the PANDORA Summer 2018 Collection is the fantastic Tassel Pendant Charm! 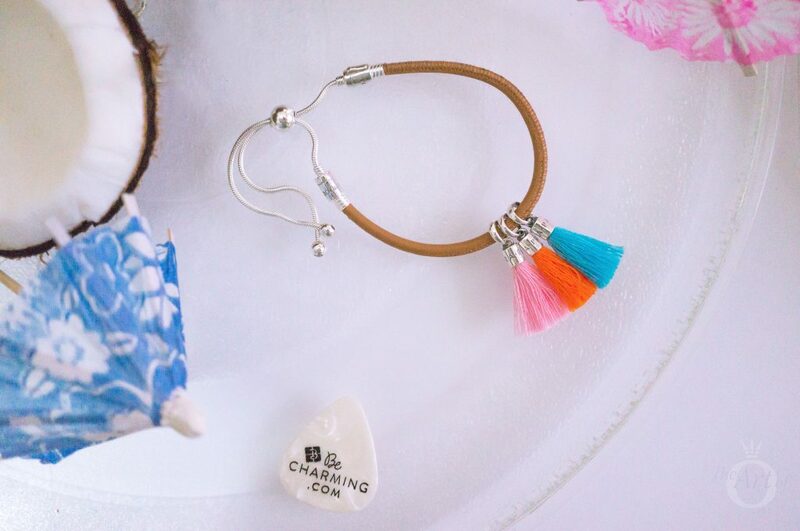 Tassels are a big trend this season and these fun pendant charms provide a quick and easy update to your accessories. 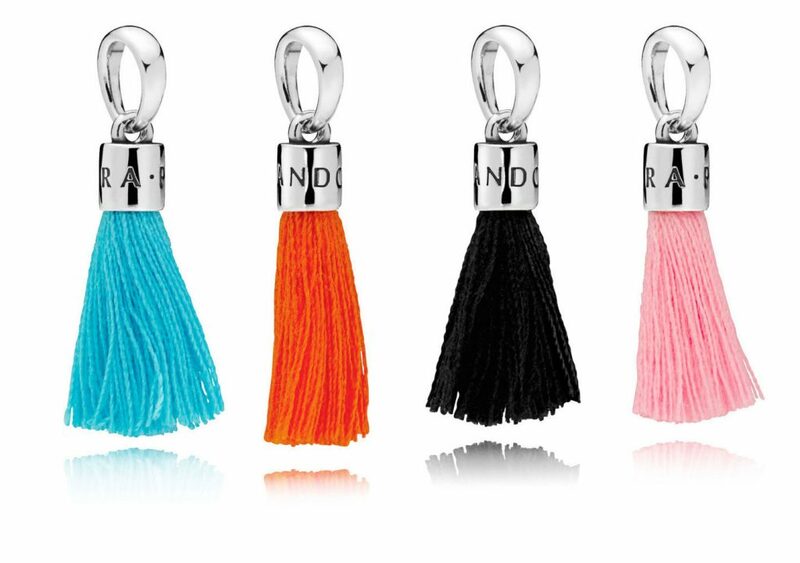 The PANDORA Tassel Pendant Charms are available in a choice of vivid colours; Turquoise (797212CTQ), Orange (797212COE), Black (797212CBK) and Bright Pink (797212CBP). The PANDORA Tassel Pendants are very reasonably priced at just £25 / $35 USD each. With this in mind, I decided on three different colours to add some Summer vibes to my wardrobe. 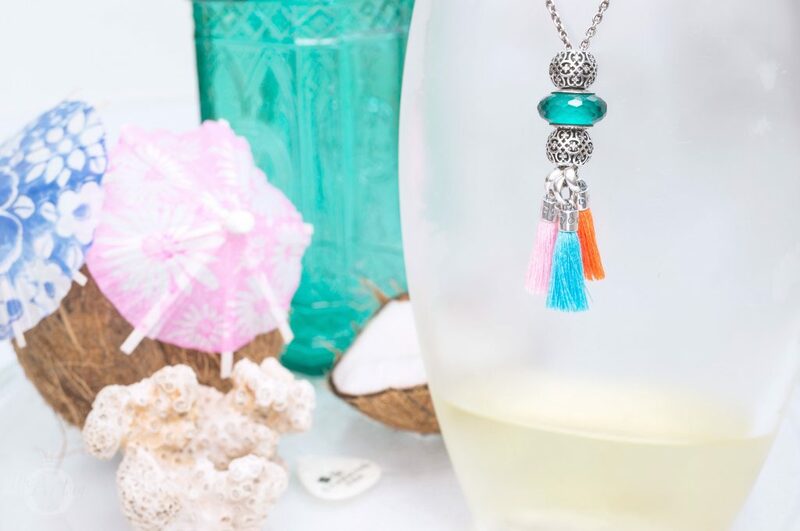 Both the Turquoise and Orange Tassel Pendants have an intense colour which seems to shout out “It’s Summertime!” and the softer Pink shade looks amazing alongside them. The PANDORA Tassel Pendant Charms are encased in a clear plastic tube to protect the synthetical fibres. I hoped that I would be able to store them in the tube to keep the tassels neat but unfortunately once the tube is removed it cannot be easily replaced. To ensure the threads maintain smooth and straight I plan to store the Tassel Pendants individually in a small plastic lockable bag. Overall the PANDORA Tassel Pendant design is fairly simple, with the synthetic strands stemming from a silver base. 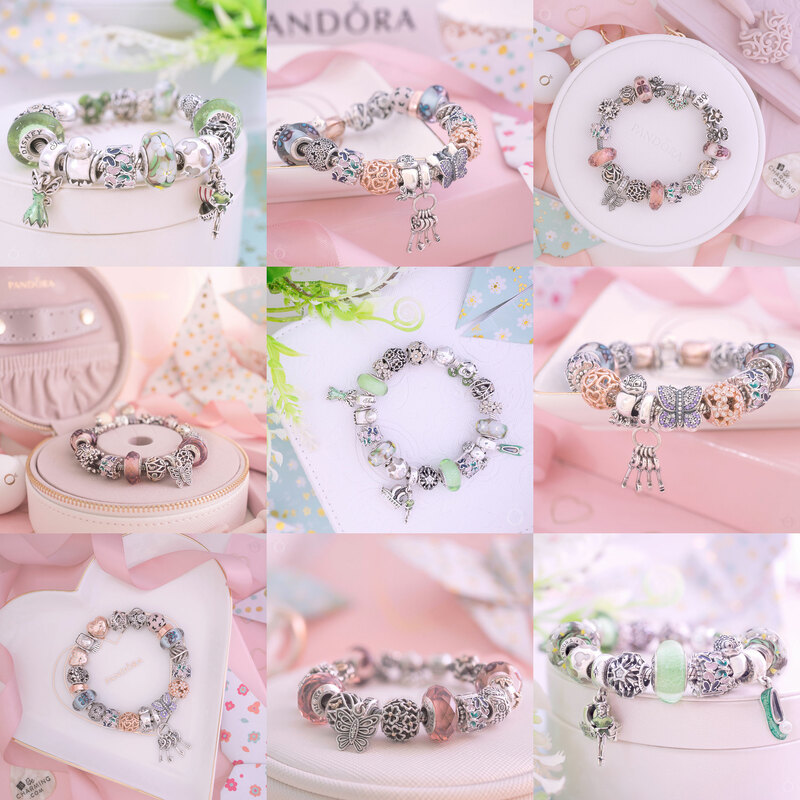 Subtle decorate is provided with ‘PANDORA’ engraved around the charm’s hub, which links onto a delicate silver bale. The standard PANDORA hallmark ‘S925 ALE’ is very discreetly stamped on the inside of the Tassel Pendant’s bale. As I have said before, life is too short to buy fake PANDORA jewellery. 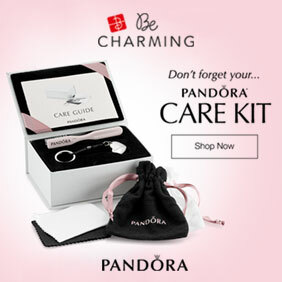 To avoid disappointment it is always best to purchase PANDORA from an authorised retailer such as BeCharming.com. When photographing the PANDORA Tassel Pendants for this review, I noticed that they looked like Hawaiian hula girls! The charm’s bale acts as a hula girl’s face while the pendant’s brightly coloured fabric mimics the grass skirt. Once I had seen how the Tassel Pendants resembled hula girls, I decided to create this enjoyable little video! 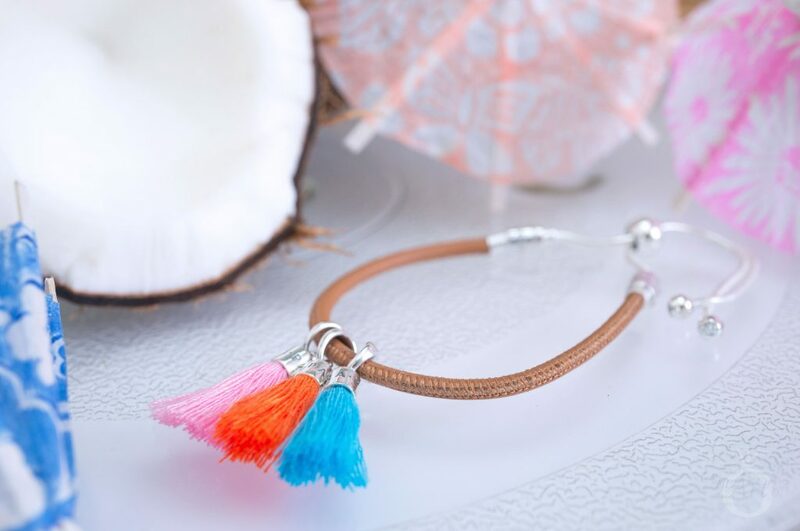 When I first saw the PANDORA Tassel Pendant Charms I knew they would be perfect with the new Golden Tan Sliding Leather Bracelet (597225CGT). The rich, lively colours of the tassels combined with the tanned leather produces a Moroccan feel and I am reminded of the bustle of Marrakesh with it’s busy markets. The tassel’s mirror the vibrant hues of the spice stalls and the kaleidoscope of colours woven into magnificent rugs. Just a peek of this styling carries me back to the narrow streets banked with tiny shops that, like Aladdin’s cave, are full of wonder. Read our recent review of the PANDORA Sliding Leather Bracelet for more style inspiration. 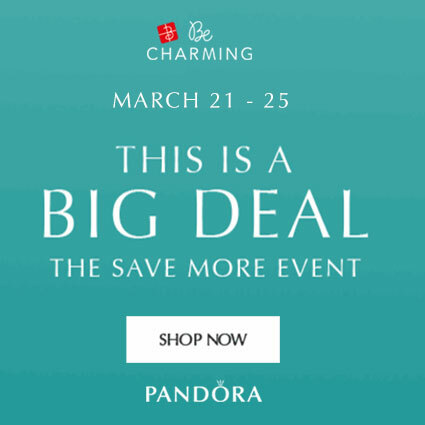 Get beach ready with this bold and beautiful design set on the Limited Edition PANDORA Dainty Bow Bangle (590724CZ). 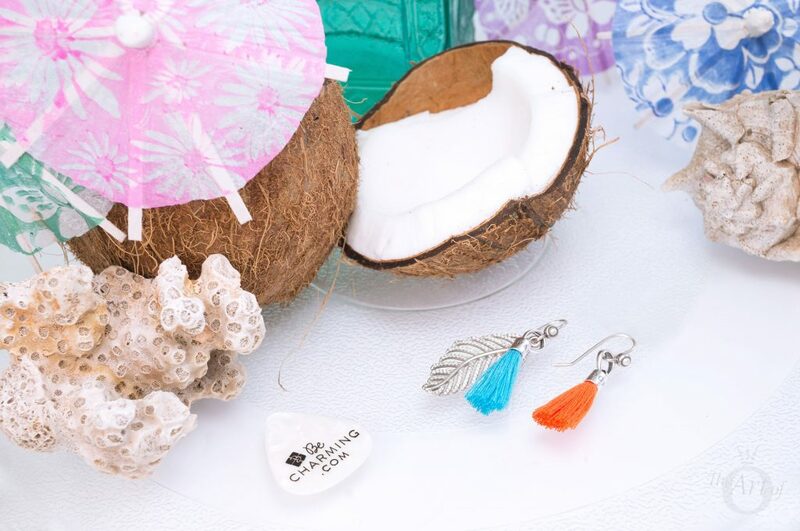 Glossy enamel details from the Tropical Sunset (792116ENMX), Ocean Life (792075ENMX) and Sentimental Snapshots (791709CZ) charms, create a striking look beside the Tassel Pendants Charms. Multiple materials fill this design; crystals, cubic zirconia stones, fine fibres, hand painted enamel, plus a luminous pearl that is set in the PANDORA Pearl Oyster (791134p) charm. 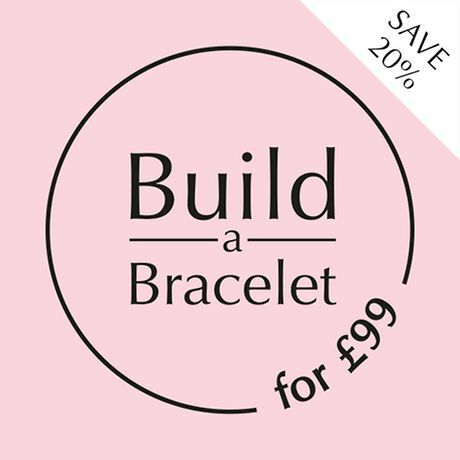 You can save in your Summer stylings as the PANDORA Tropical Sunset charm is currently available for £25 in the PANDORA UK eStore outlet. 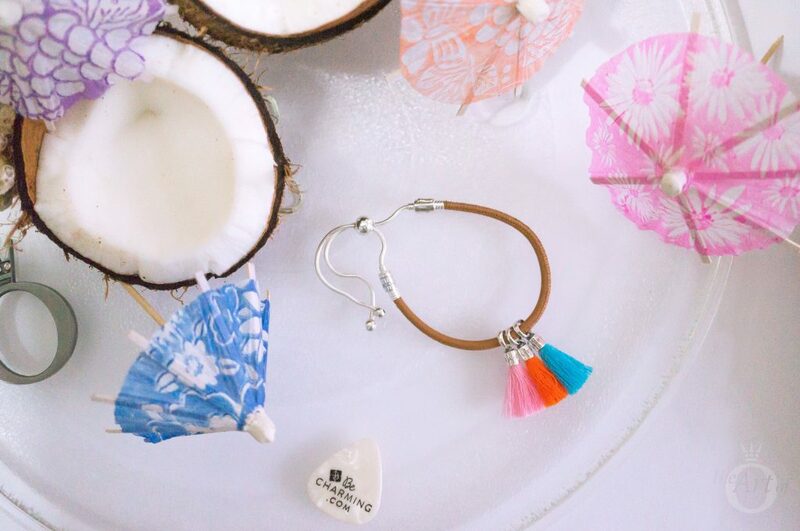 As the PANDORA Tassel Charms are pendant style charms with a slender bale, they can be worn with the PANDORA Compose Earring Hooks! In this styling I used the Freshwater Pearl Earring Hooks (290671P) with the Orange Tassel Pendant on one, and the Turquoise Tassel Pendant with a single Light As A Feather Earring (290680CZ) on the second Hook. This electric and individual style is ideal for festivals! 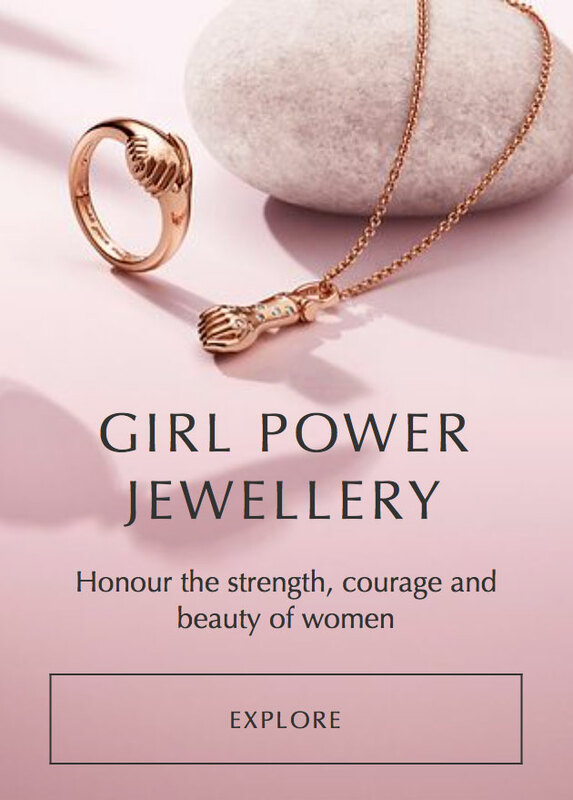 PANDORA have retired their Compose Earring range but it is possible to locate a small selection at various authorised retailers. The Earring Barrel (291002) are currently available at BeCharming.com and can be worn with openwork charms and hung onto the Compose Earring Hook. The Cubic Zirconia Earring Hooks (290677CZ) are currently on backorder at BeCharming.com. The PANDORA Compose Earring Barrels are currently available for just £3 in the PANDORA UK eStore outlet. 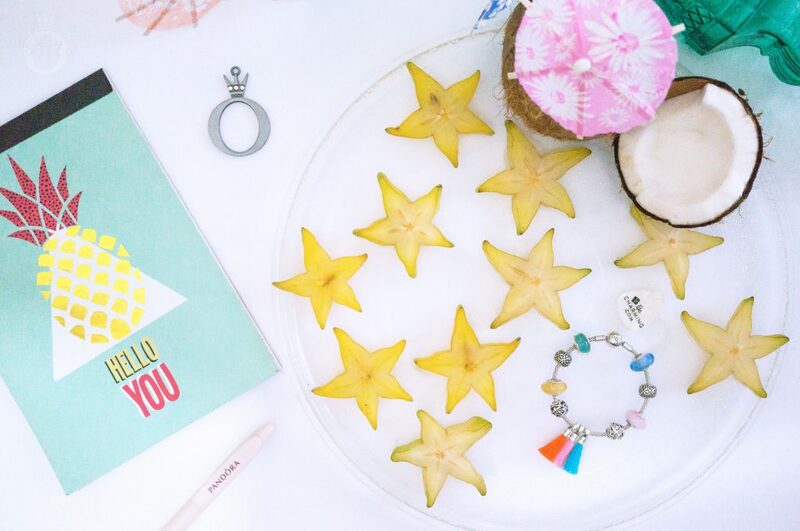 Be a free spirit with this tasselicious necklace styling! The Pink, Turquoise and Orange Tassel Pendants hang beneath the stunning Intricate Lattice (791295CZ) charms. The gorgeous Fascinating Teal Murano (791606) charm glows as the light reflects and refracts on it’s facets. Houston, we have a tassel. A few readers have asked for advice regarding what necklace chain to use for this type of styling. I use the PANDORA Silver Necklace Chain (5905150), which can be adjusted to 38, 42 and 45cm lengths. This necklace has been designed specifically for PANDORA pendants and charms. I do not recommend wearing PANDORA charms on non PANDORA necklaces as they may open or break. 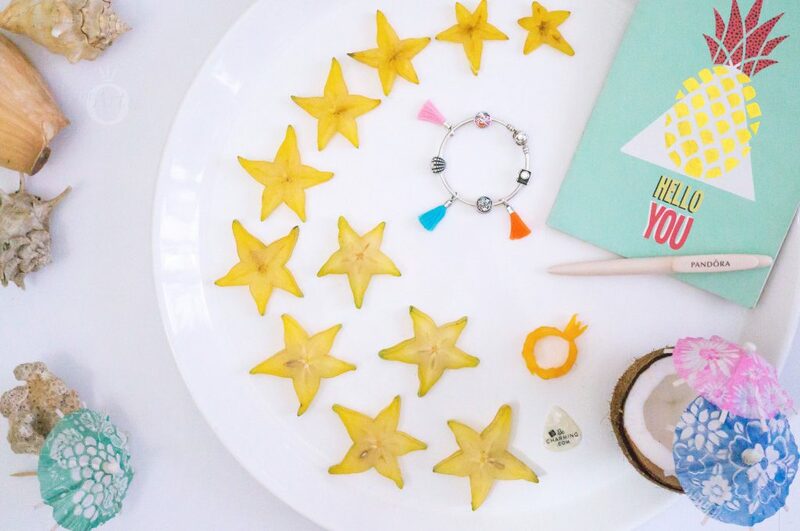 My final styling is full of Summer freshness! 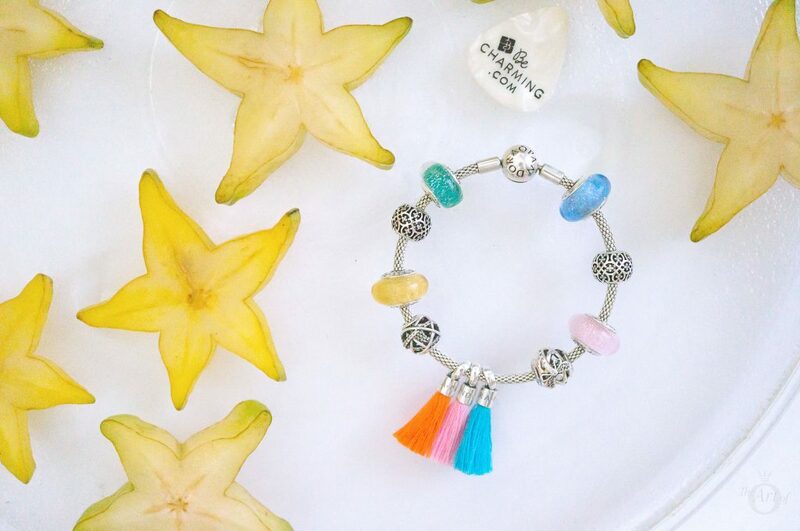 The lightweight PANDORA Mesh Bracelet (596543) creates a breezy backdrop for this colourful design. Regular readers will know that I went a little Disney Murano crazy in the recent PANDORA sale! Quite a few of them feature in this multicoloured design. 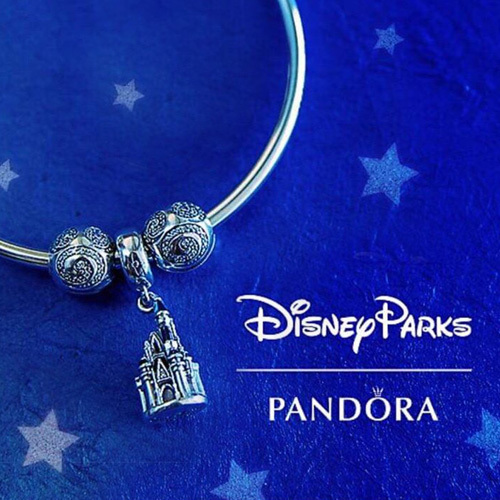 The PANDORA Disney Cinderella’s (791640) and Aurora’s Signature Colour Murano (791658) charms correlate with the Turquoise and Bright Pink Tassel Pendants. 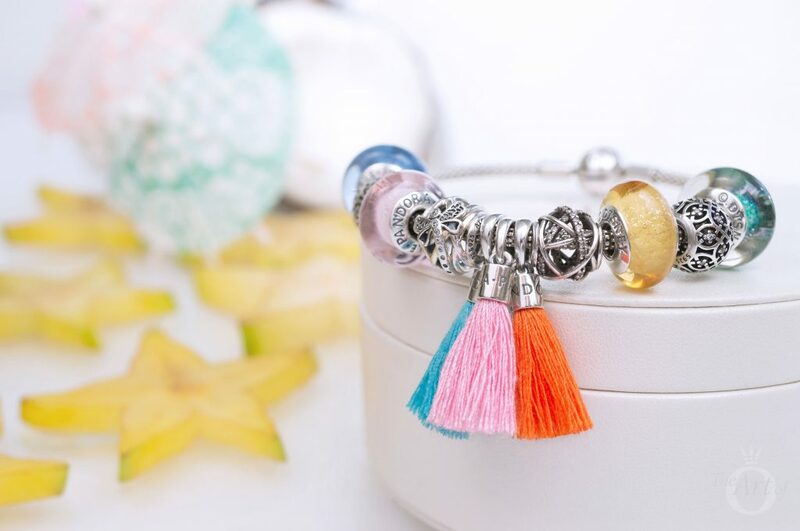 Opposite Ariel’s (791641) and Belle’s Signature Colour Murano (791643) charms provide additional Summer flavour. The delicate openwork Galaxy (791388CZ), Dreamy Dragonfly (797025CZ) and Intricate Lattice (791295CZ) charms look charming between the bright pops of colour. 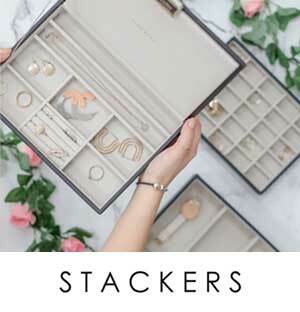 My verdict on the PANDORA Tassel Pendant Charms? Keep calm and tassel on! 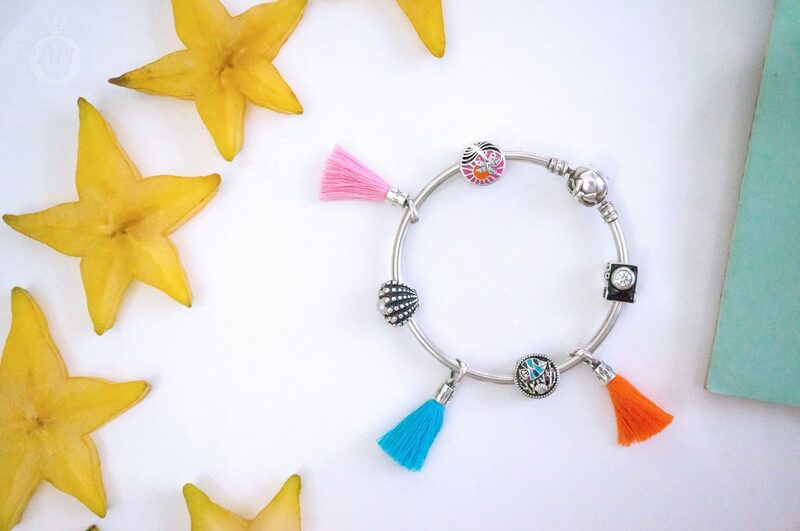 The PANDORA Tassel Pendant Charms are perfect for Summer and will add a colourful wow factor to any outfit! Although I love the simple design, I have given them a 7/10 as I am concerned the threads may get a little dirty over time. At £25 or $35 USD they are reasonably priced especially considering how versatile they are! 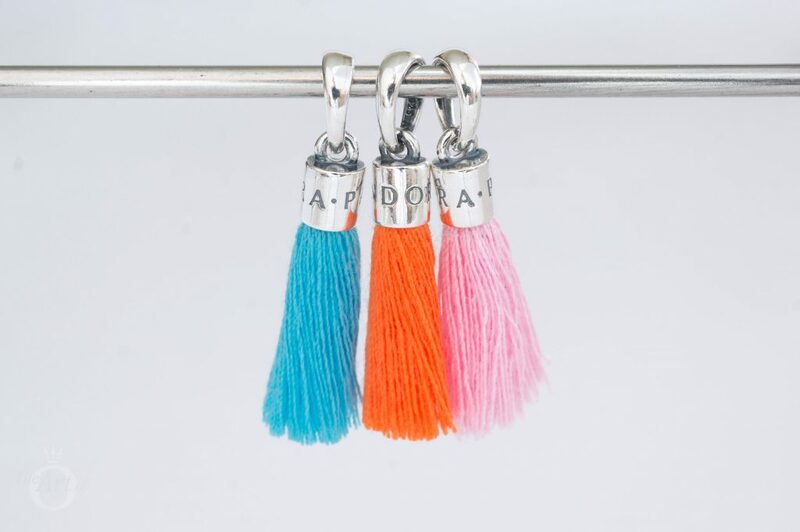 In the UK the PANDORA Tassel Pendant Charms are available in Turquoise (797212CTQ), Orange (797212COE), Black (797212CBK) and Bright Pink (797212CBP) and are £25 each and available from the PANDORA UK eStore. The tassels are indeed a delight. I really love the way you have styled them. They really add a pop of color either on the bracelet or as a pendant. Feel free and being yourself is basically what the tassels are all about. They are nice and fun aren’t they?! Yet they look quite sophisticated in a boho chic style in the necklace styling.